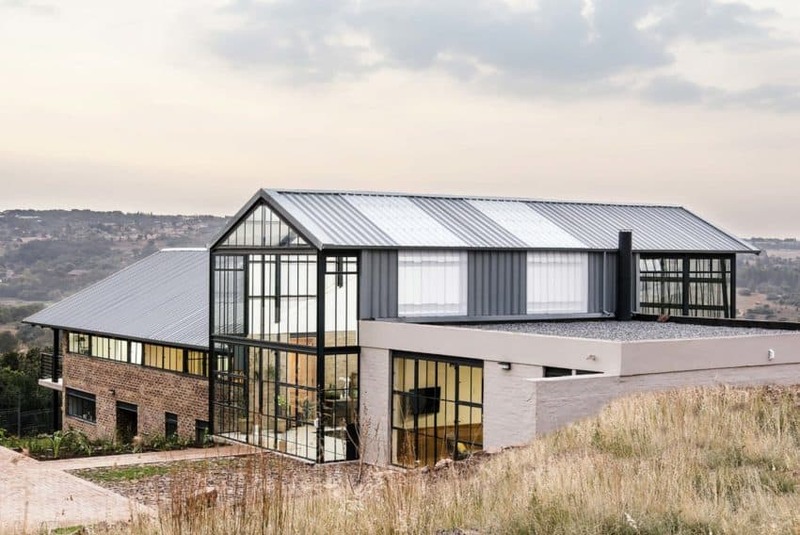 On the outskirts of the city of Pretoria in South Africa, designer and architect Nadine Engelbrecht has built a sprawling, borderline luxury dwelling called Industrial Style Architect’s House. 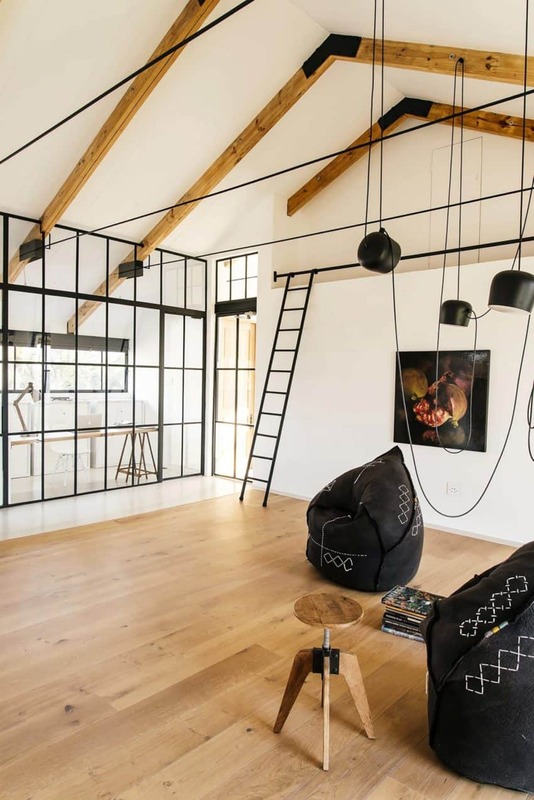 Despite its clear urban and industrial influences, the house actually has an unexpected inspiration behind it: an old barn! 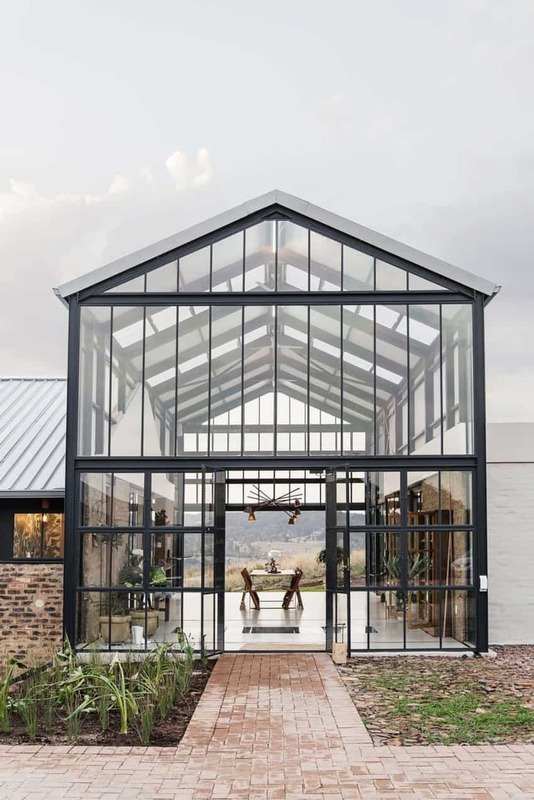 The lead architect on site actually designed this lovely home for her parents using the kind of small barn that would have stood on their childhood farms as the basis for the new house’s shape and structure. 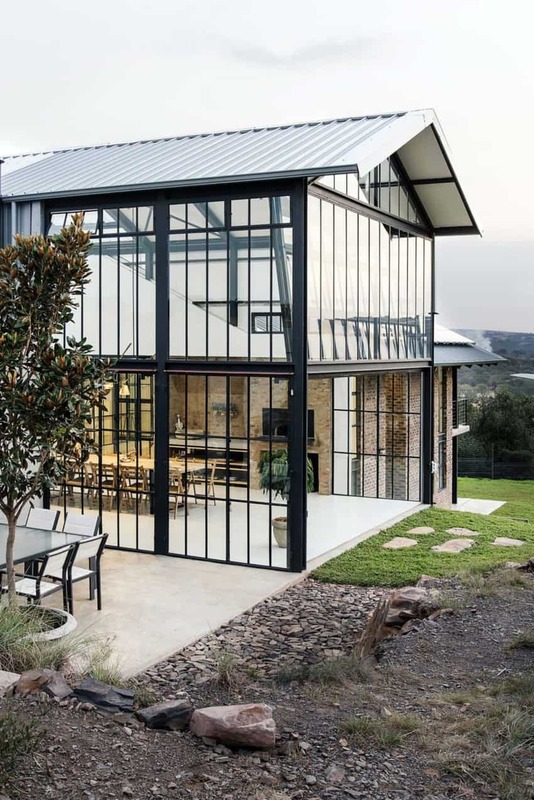 Despite that rustic motivation, the overall aesthetic choice and materiality is far more industrial influenced than farmhouse themed, making for an extremely interesting and visually beautiful contrast. 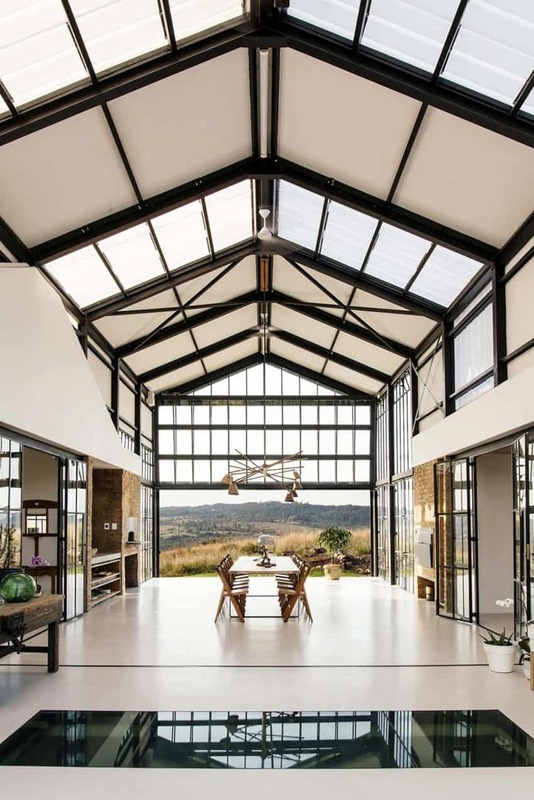 The central portion of the house, made primarily of black steel and glass that lets in plenty of natural life, is the clearest portion bearing barn-like inspiration. Wings for additional living space are built off of each side, one part of which includes a loft with a stunning view and a unique layout. In the long central space, you’ll find a reception room with a high cathedral style ceiling that peaks in the centre above. 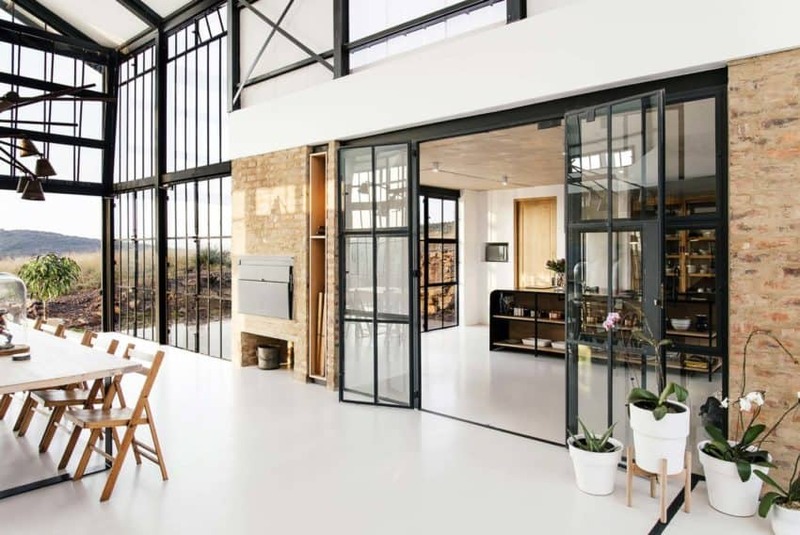 This entire space is bright and naturally lit, heavy in windows and glass doors, and quite breathtaking in its clearly industrial simplicity. At the far end, where doors open onto a patio and lawn, is the large family dining table, where things stay the brightest. 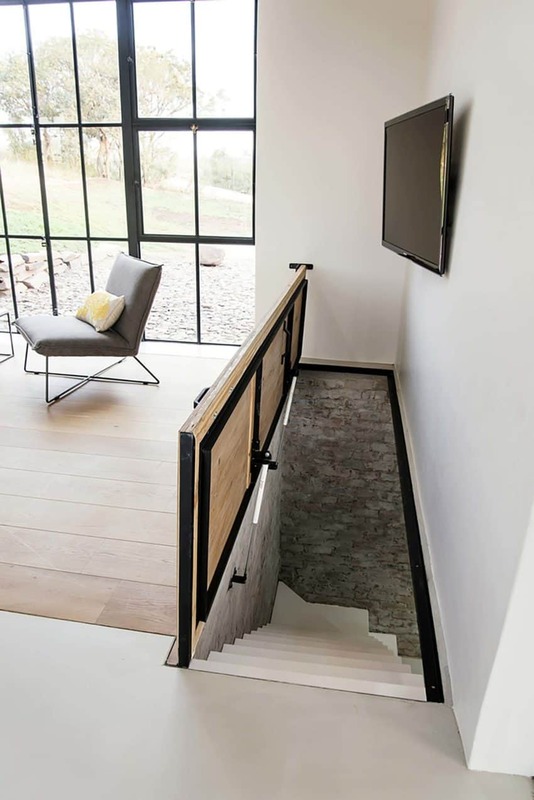 The parts of the house that aren’t made from glass and black metals are kept a little more natural and slightly more rustic feeling, without feeling very “farmhouse chic” like you might expect a home inspired by a barn to be. 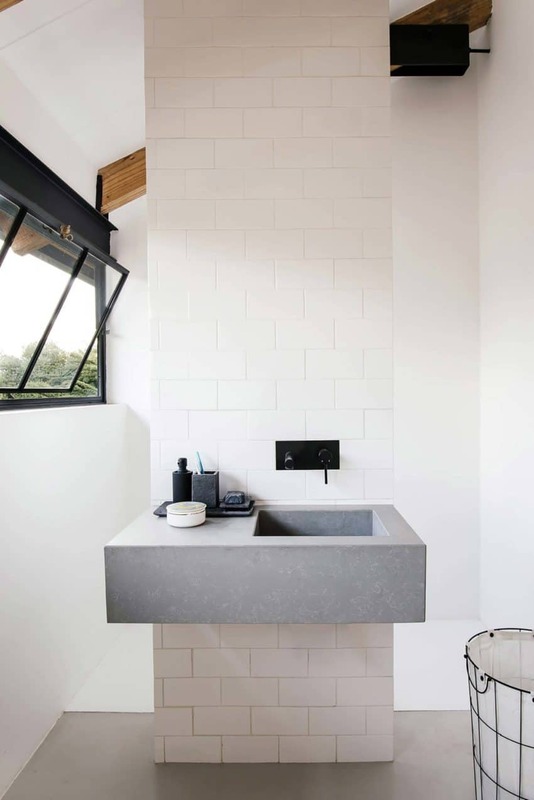 Instead, design teams used concrete, exposed brick, and exposed carpentry made with reclaimed wood. 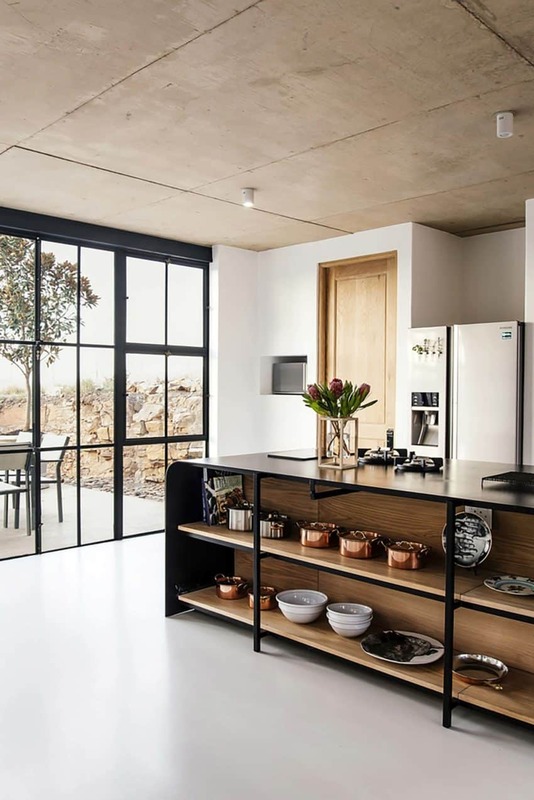 Moving from the well lit reception hall and dining room into the kitchen, you’ll find a continuation of these material contrasts, as well the way windows are a huge priority. 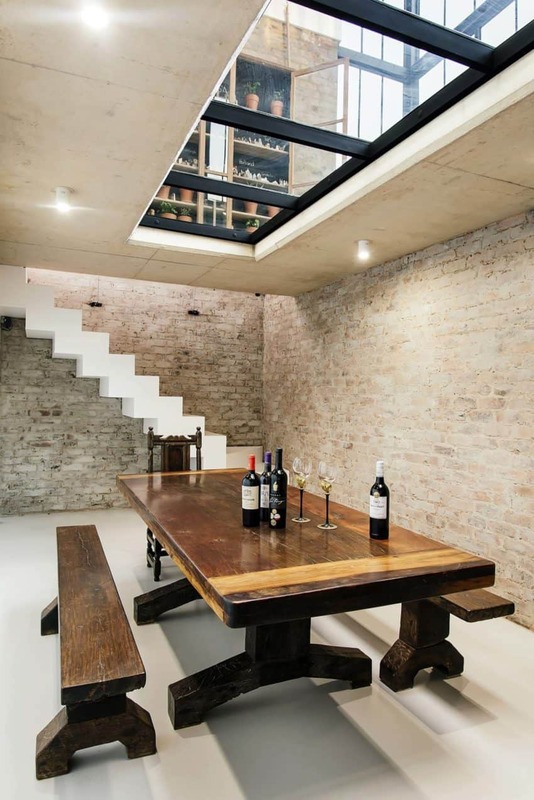 Here, a stunning wooden island acts as a central hub of the kitchen space, while a large, wooden trap door leads down into a temperature controlled wine cellar. This door closes flat into the floor but still stands out as a nearly decorative piece because it’s the only other part of the house besides the shape that explicitly looks like it might have been part of a barn once upon a time. On the second floor of the kitchen volume to the side of the sunny hall you’ll find guest bedrooms and the master suite. The colour palettes here are simple, pleasant, and minimalist, comprised mostly of neutral shades and cream tones. Although each bedroom has a clear priority in windows and bright, natural light, the master suite is really the room that takes this concept further on the top floors. At the end of the master bed, where you’d first look when you wake up in the morning, stand a stunning set of floor to ceiling windows. These can be covered by a horizontally sliding shade to reduce the light they let in or left open so you can gaze upon the nearly-rural view of grasses and trees beyond the property. Besides this breathtaking view, the room’s decor is quite pleasantly simple in a way that is classy and sophisticated. 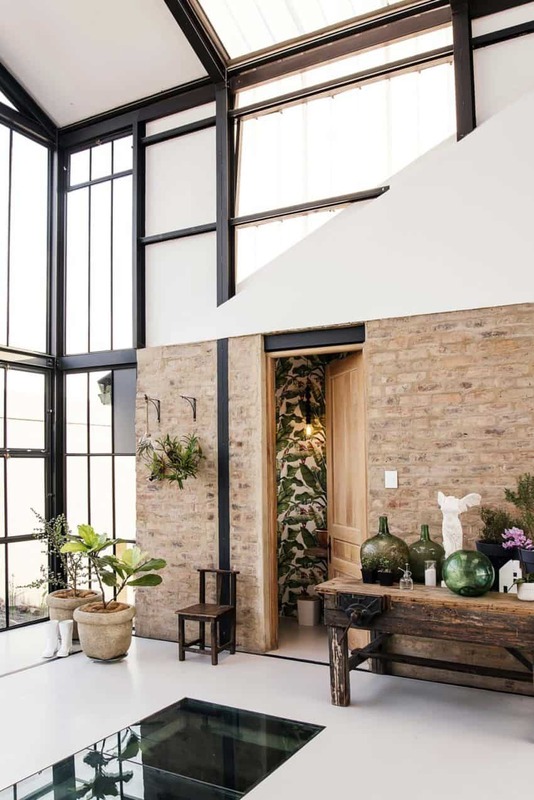 On the top floor of the volume built on the other side of the reception hall, sitting high above a comfortable but stylish living room and social seating area, is an activities space. This bright, wide open room features art, gallery lighting, and bean bag chairs for reading. The family often uses it for entertainment or hobbies and creative endeavours.